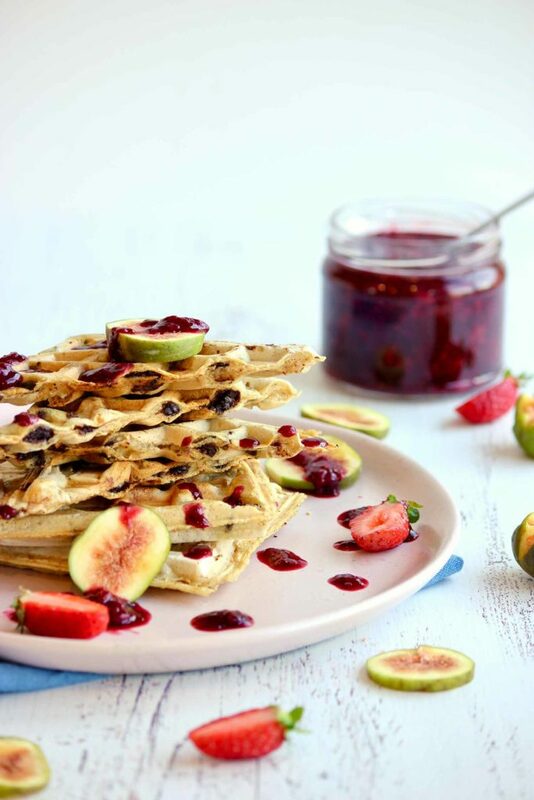 These waffles are wonderful to make with the kids during the school holidays, for breakfast, brunch or dessert. They are extremely delicious, easy to make, and free from refined sugar, making them the perfect ‘treat’. Toppings: OWN organic baby figs, strawberries, maple syrup & berry compote. Add the milk to a bowl along with the apple cider vinegar or lemon juice, stir, and let sit for 5 mins. Meanwhile, begin making the berry compote. 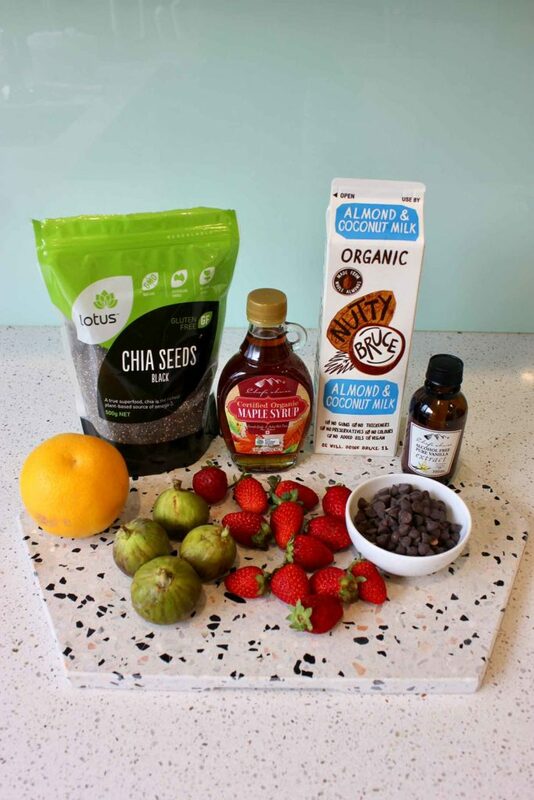 Place the berries and orange juice into a small saucepan and bring to medium heat, then add the chia seeds and maple syrup. Once the berries are bubbling, reduce heat slightly and mash the fruit using the back of a spoon. Continue cooking the berries over medium-low heat until they have thickened nicely (5-10 mins). Remove the berry compote from the stove and put aside. Make the flax eggs in a separate bowl, and then mix into the milk. Add vanilla extract to the mixture, and whisk well. Add the flour, baking powder, baking soda and salt to the mixture and mix thoroughly until all combined. Add the choc-chips and mix through. If the batter is too thick, simply add more milk. 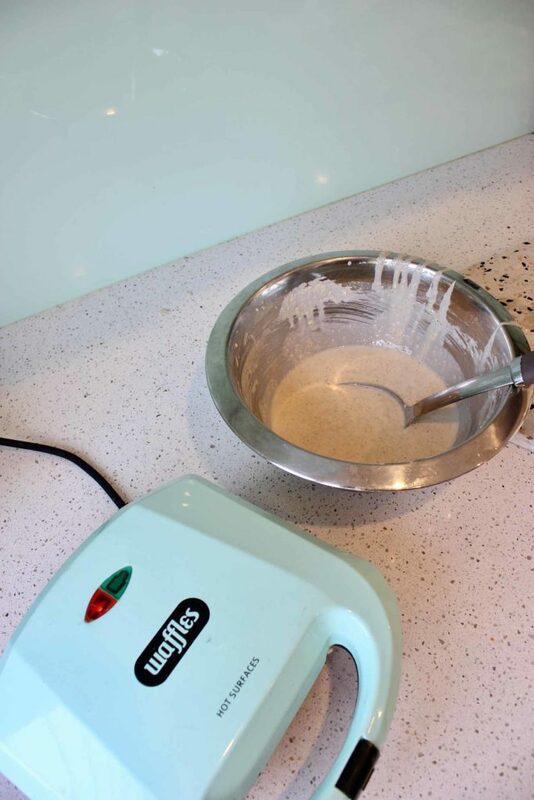 Pour some of the waffle mixture into a waffle maker and cook until ready, repeat until the waffle mixture is all gone. 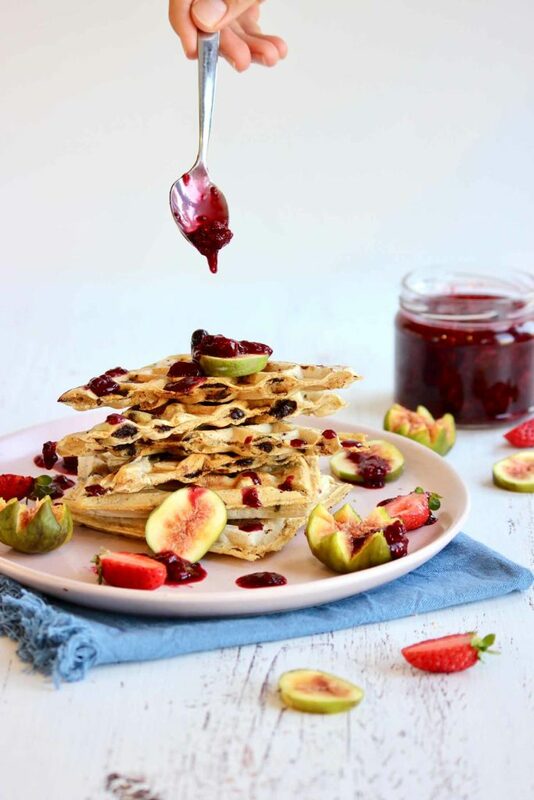 Top with the fresh fruit, maple syrup & berry compote.